The 14th C. Thomas Clagett, Jr. Memorial Clinic and Regatta wrapped up in Newport, RI on June 26th. 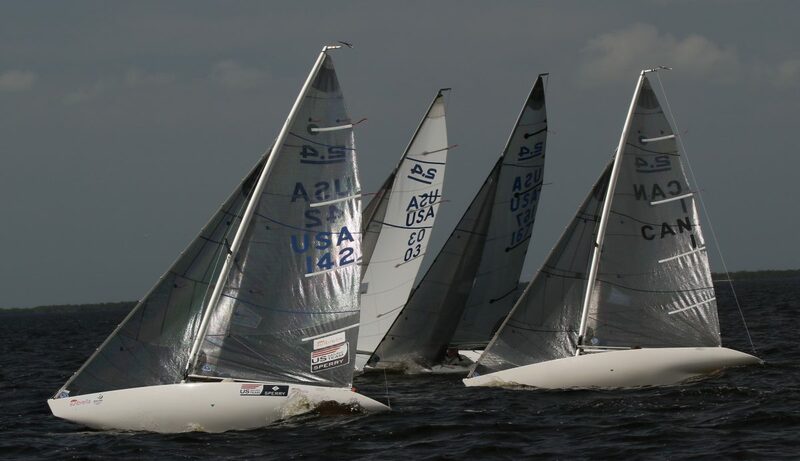 15 2.4mr sailors competed in the event from Canada, Puerto Rico, and across the US from Rhode Island, Florida, Connecticut, New Jersey. Over the course of the three day event, the race committee set the race courses against the back drop of Newport’s Pell Bridge, in between Goat and Rose Island, on Narragansett Bay. Lead by Principal Race Officer (PRO) Tom Duggan (East Sandwich, MA), the race committee did a great job setting courses in challenging currents and and varying wind directions during the entire event. Fantastic coaching from Betsy Allison and Brian Todd had the fleet bunched up, with tight mark roundings and close finishes. Hee are the links for the final press release and finalu 2.4mr results.